SEO has become a lucrative and important part of a complete digital marketing strategy for small businesses, thereby attracting a range of SEO firms, from expensive SEO conglomerates, affordable search engine optimization firms, to cheap SEO (shady) companies. Our agency is among the most reputable and affordable SEO agencies today, while delivering results for over a decade. As a small business owner you are looking to attract more qualified visitors and leads to your website in order to increase your company’s revenue. SEO essentially drives “free” traffic to your site. The problem is that all your competitors are also trying to get that free traffic. Everyone wants to be on Google’s 1st page or Google’s Local 3-Pack, but there’s only a limited number of spots and too many websites competing for them. What a typical cheap SEO package advertisement looks like. Found on Craigslist. This one promises #1 spot on Google in an hour! SEO is not a transparent process, therefore most unknowing business owners are too often fooled and taken advantage of by these types of cheap search engine optimization companies.Every small business owner is looking to save money, especially when it comes to marketing. Unfortunately, this may lead small business owners to seek the services of cheap SEO “experts”. While there are literally hundreds of shady firms that will quote you a very low price, while guaranteeing you first page results, it is wise to be careful and do some research before hiring them or even talking to them. We’ll discuss the difference between an affordable search engine optimization firm and a cheap SEO company in the next few paragraphs. But first, let’s lay down a foundation on the topic of SEO and where it fits in the terms of lead generation. Still not sure about the difference between cheap SEO and (good) affordable SEO? Check out this infographic. With many larger SEO companies charging between $5K and $10K+ per month to optimize and manage clients’ SEO campaigns, many small businesses were essentially left to fend for themselves. The alternative became fly-by-night SEO companies offering cheap SEO packages at cut-throat prices. Forbes reports that a quality national SEO campaign will run you $2K/month on the low-end. After nearly 2 decades of executing profitable SEO campaigns, we can attest to that. Shady SEO companies charge $99/month. So, you have to ask yourself; if someone is selling you a Ferrari for $9,990, is that even remotely close to the same ball park as what you’d expect to pay for a Ferrari? This is why we decided to enter the market at a fair and affordable price for the small business. With over 16 years of digital marketing experience, we have the knowledge and experience the larger firms have, but we don’t have their overhead. Consequently, we use the same tools they do. However, and more importantly, our heart is in helping small businesses succeed, so we created our affordable search engine optimization solution. Search engine optimization deals with the first component, while on-page optimization (user experience) deals with the second (if you’re operating an eCommerce site). Lead generation can be expensive, but a solid SEO strategy can quickly become the backbone of your lead-generation efforts. Here’s a client that had been struggling online for several years. 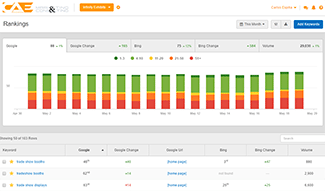 We took over their SEO and digital marketing campaigns on January 2016 and you can see the dramatic impact our work has had on their rankings. 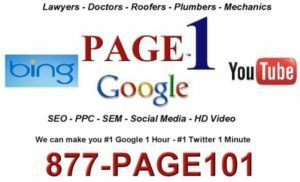 This client now ranks nationwide for over 900 keywords, 170 of those are on the first page of Google. Over a decade of professional Search Engine Optimization experience. We are optimization experts – we squeeze the profits from every SEO campaign, ad, or landing page. We are fanatical about A/B testing. Our agency holds the Google Partner status, as well as many other professional certifications. As an example: Our affordable SEO service will run on average $1,500/month. This may include; landing page optimization, content management, title tags and description optimization, and a few more SEO gems. Meanwhile, the $99 cheap SEO packages will likely just send cheap, untargeted traffic to your website. In a best-case scenario, these cheap SEO packages will yield you no return. In a worst-case scenario, they will leave your website penalized by Google, your rankings will take a huge tumble, and your website will likely disappear from Google. The initial investment you make towards an affordable search engine optimization package will not break your bank. The best thing about it is that you will see results. Often times, by simply optimizing the user experience we can increase conversion rates, so essentially your website is getting more orders from your existing traffic. Another important element worth mentioning is you will have zero penalties from Google. When you opt for a cheap SEO service, where you are offered a small initial cost, you will not see any results, but rather a headache and empty promises. Google penalties may also be incurred due to their unsophisticated SEO tactics. The results will be much more expensive to fix later. When you seek the help of an affordable SEO company, you should expect results. Results include increasing the organic traffic to your website. An affordable SEO company will also help in optimizing and redesigning your small business website, or elements of the site, ensuring optimum user experience. With one of our affordable search engine optimization packages, you will be able to achieve your business goals and objectives without a large initial investment. Contact us to get a quote and see what we can do for your business.